Welcome to the City of Ferndale GIS Page. The city’s GIS Specialist provides various geographic analysis and mapping services to support The City of Ferndale Departments. Some current uses of GIS within the city include cartography (map making), growth management planning (Comprehensive Plan Update), Critical Areas Assessment, street improvements, infrastructure management, and most recently, internet mapping. 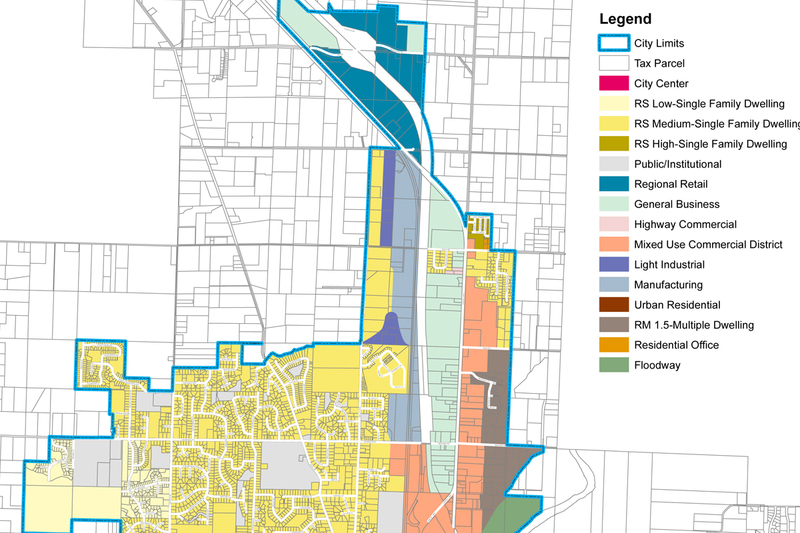 City of Ferndale GIS is dedicated to providing customers with access to geographic information through expert implementation of the principles of geography, cartography and geo-spatial analysis. 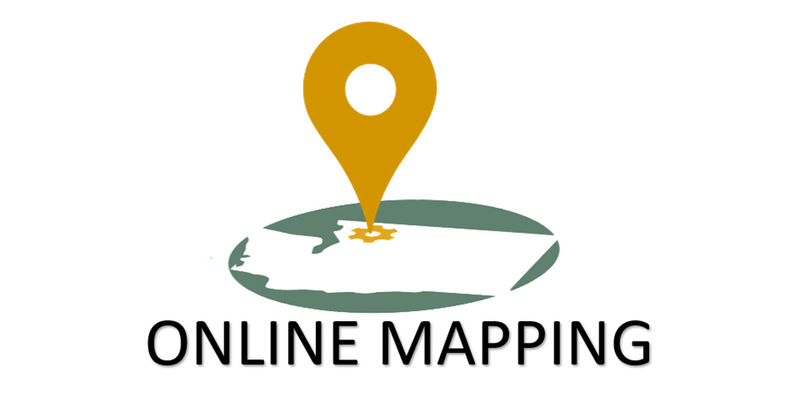 The City of Ferndale is pleased to provide internet mapping tools, downloadable maps and GIS information via our website. If you have questions regarding any of the information presented below, please call Ferndale City Hall at (360) 384-4006, or send an email. We are happy to assist you to interpret the information presented on our site or answer questions about other GIS information that may be available at City Hall. 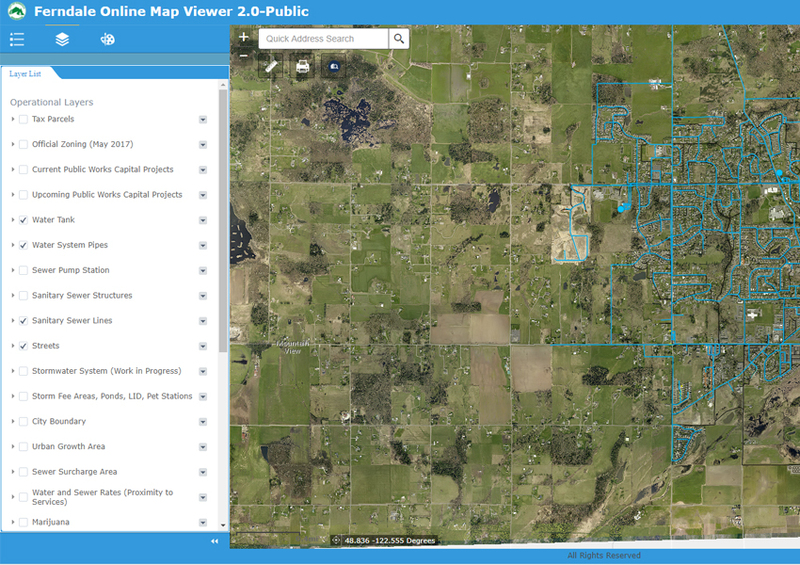 Explore tax parcels, infrastructure, future capital projects, satellite images and more.